Dr. Herrera offers a range of TMD treatments in Los Gatos to meet the needs of her patients and tailors her approach to help you achieve relief from pain as quickly as possible. Also referred to as splint therapy, this is the simplest way to address most TMJ symptoms but may not always address structural dental issues that may be contributing to the condition. Oral appliances will relieve pain by taking pressure off the muscles that surround the joint and allowing them to rest. This is often enough to produce long-term results and is convenient for episodic TMD symptoms. Malocclusions such as over-bite, under-bite, and open-bite are sometimes the underlying cause of TMJ muscle spasms. In these cases, as well as when tooth crowding or misalignment are involved, Dr. Herrera can use braces to adjust your bite and move some or all of your teeth into better alignment. Sometimes it is necessary to treat all your teeth to both correct your bite pattern, and repair damage done as a result of failing prior dental work or chronic teeth grinding. Full Mouth Rehabilitation may entail placing prosthetics, such as a crown or bridge, and orthodontic intervention. Dr. Herrera often combines treatments so that you can achieve fast results with an oral appliance while undergoing any required additional adjustments to correct your dental pattern. After performing your initial comprehensive exam, and obtaining images of your jaw with our CT scanner, Dr. Herrera may add more intricate testing, including jaw tracing, which allows us to thoroughly assess your jaw function. 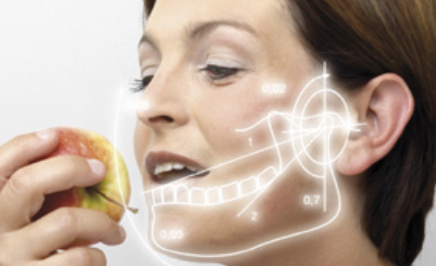 This helps our dentist determine the appropriate course of action to achieve the best results. Once we have obtained detailed and precise impressions of your teeth and gums, our dedicated dentist will get to work on your oral appliance which we can create right in our office with CEREC, our in-house milling system. Don’t let TMD stop you from enjoying life. Let us help by accurately diagnosing your symptoms and getting you the help you need. If you need relief from TMJ pain in Los Gatos, please call our office, and schedule a consultation with Dr. Cristina Herrera today!